Sharper Image Motion Pet Feeder Review - Does It Work For A Cat? 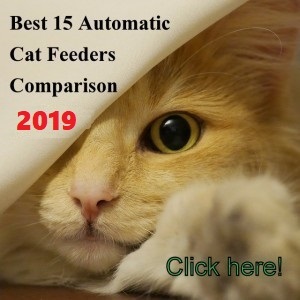 PRODUCT DESCRIPTION (1.9/5) Sharper Image automatic pet dish feeder works with a motion sensor that activates when the pet approaches the feeder. 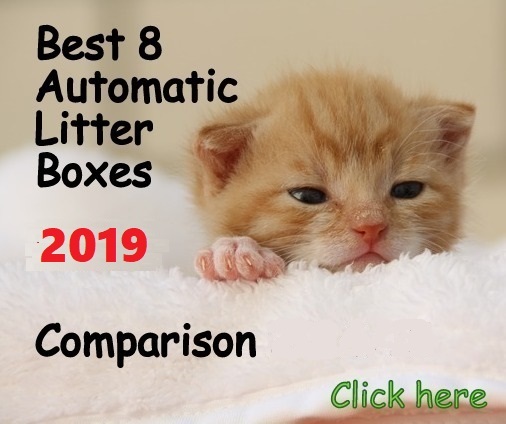 This automatic feeder is easy to clean with its removable bowl and it helps keep the food from getting contaminated with external elements, such as insects, dust or odors and it also helps to contain food smell. 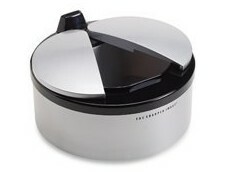 Sharper Image dish feeder can be used for cats and dogs and it works with 2 AA batteries not included. 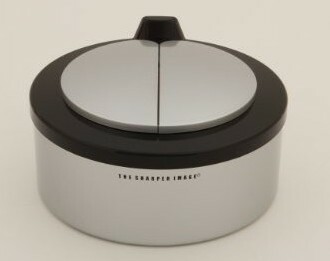 The feeder bowl’s lid stays shut all the time, protecting and keeping the food fresh. 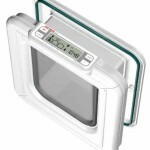 The unit has a motion sensor which activates when detecting a movement in its proximity. This movement needs to be located in a certain area for the sensor to detect it and activate the mechanism of the feeder, so the pet needs to stand in a certain spot of the dish for it to open. 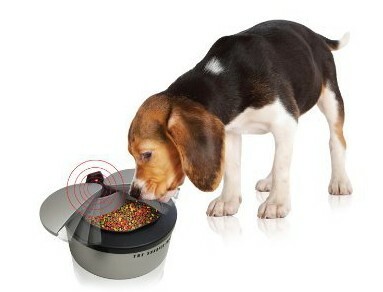 When the sensor activates, the feeder automatically slides open, exposing the food and allowing the pet to eat. 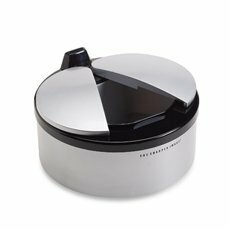 The dish feeder’s lid is formed by two parts that stay together and when the sensor activates, they open sliding to the sides. Once the pet has finished eating and leaves the bowl, a few seconds later the unit automatically closes since the sensor does not detect any motion. Check a video here (US link) to see how it works. Dish feeder helps to contain food smell when closed. Feeder with a motion sensor to open and close the dish’s lid. The dish’s bowl slides open automatically when the sensor detects your pet’s motion. 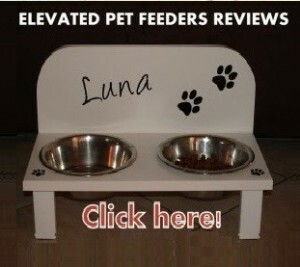 The feeder’s lid closes automatically after your pet has finished. It protects the food from insects, dust, and other external elements. 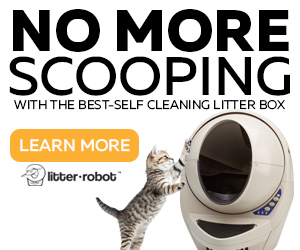 Automatically opens when your cat motion is detected. Good system to keep the food fresh and clean. It protects the food from insects. 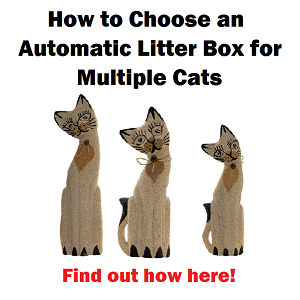 It can be used as a regular food dish by turning the unit “OFF”, which keeps the lid open. If your pet does not get the hang of this feeder, place the unit in a certain area that the pet has to stand up right in front of the feeder, where the sensor is. 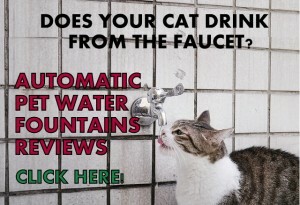 This way the unit will always open, avoiding frustrations from your cat. 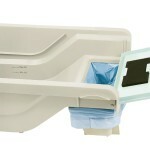 Shaper Image automatic dish feeder is a good feeder that works as advertised. 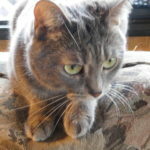 The effectiveness of the motion sensor will be determined by your pet’s size. The smaller the pet, the less capable the sensor is to detect it and open. 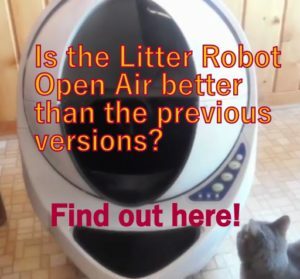 Consequently, the unit might not be suitable for small pets such as small cats and small dogs, it works better with large cats and medium size dogs (about 18 to 20 lbs). The feeder works well in protecting the food from external elements and it keeps the smell contained, which is a good feature for small apartments. If feeding a cat, the food lasts approximately 6 days, for a dog about 3 or 4 days. Sharper Image pet feeder might not be suitable for small or medium size cats because the sensor does not detect small animals very well. An important “con” stated by customers is the fact that the feeder’s lids open and shut very fast and this might scare your cat. 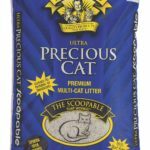 √ However, I recommend this feeder for insisting large cats that are not timid or afraid of anything and for medium sized dogs.